A modern ghost story that will have you hiding under the duvet for days…. Sara’s on the run and she’s found the perfect place to hide…..
Sara Robinson – gambling addict, liar, thief – lived a hand-to-mouth existence in a dingy flat in London. Now she’s running for her life after the chance to make some easy money goes horribly wrong. She has three things which might save her: a passport in someone else’s name, a ticket to Australia and a suitcase full of cash. 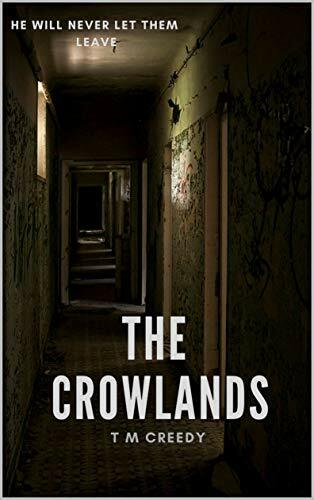 Sara finds herself the custodian of a crumbling Victorian mansion known as Crowlands House, once a children’s home in the rural town of Ararat. At first, the airy property seems cool and welcoming in the harsh Australian sunlight. It’s a private haven where Sara can forget about what happened in London, and a place to escape the hostile local townsfolk. But there are things in that house that aren’t quite right. And Sara can’t ignore them forever. The doors that won’t stay open, the scratching sounds in the walls at night, the objects that disappear – only to reappear in a room she has never even been in.